Win The Equetech 3 In 1 Trilogy Jacket! ENTRIES NOW CLOSED. WHAT A TRILOGY! The Equetech 3 In 1 Trilogy Jacket offers fashion conscious riders two jackets in one clever design. 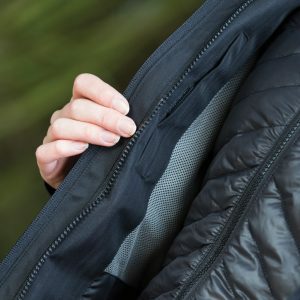 Featuring a waterproof, wind resistant outer shell, the gorgeous snug full-length quilted jacket also features a shorter smart lightweight zip out quilted lightweight jacket! Designed to be worn in three different ways, the jacket can be worn in its entirety or the inner jacket zipped out for milder day wear and the outer longer layer for less artic weather this winter! Featuring other great design details such as snaffle zip pulls in Silver, two way zip, storm flap, detachable waterproof hood, long zip to back hem of outer jacket for use in the saddle. A stunning jacket as changeable as our weather!